With the rapid development of electronic technology and the wide application of wireless communication technology in various fields, high frequency, high speed and high density have gradually become one of the significant development trends of modern electronic products. 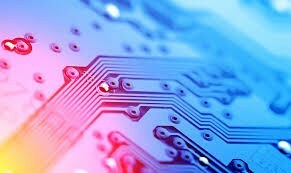 High-frequency signal transmission and high-speed digitization force the PCB to move toward micro-holes and buried/blind holes, fine wires, and uniform thinning of dielectric layers. 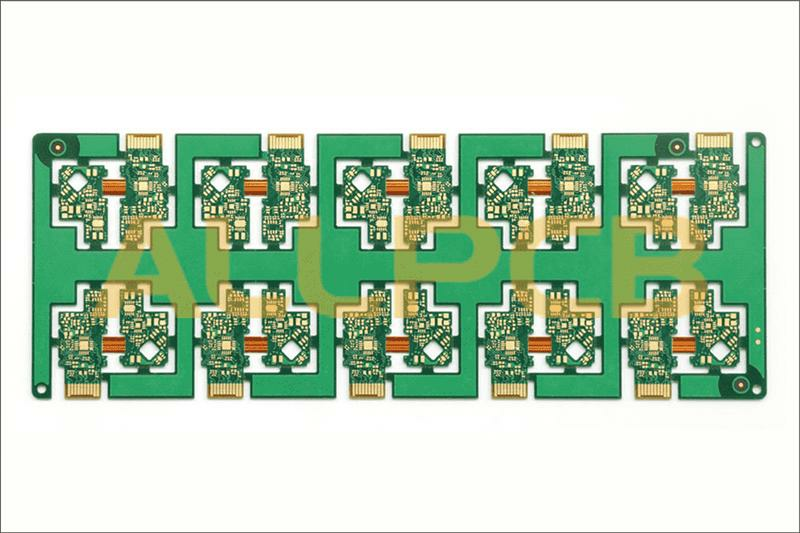 High-frequency high-speed and high-density multilayer PCB design technology has become an important research field. Explain the wiring design of high-frequency circuit board PCB design, and follow the small series to understand. PCB Design High Frequency Circuit Board Wiring Skills. First, the less the lead bend between the pins of high-speed electronic components, the better. The lead wire of the high-frequency circuit wiring is preferably a full line, which needs to be turned, and can be folded by a 45-degree line or a circular arc. This requirement is only used to improve the fixing strength of the copper foil in the low-frequency circuit, and in the high-frequency circuit, the content is satisfied. One requirement is to reduce the external transmission and mutual coupling of high frequency signals. Second, the high frequency circuit device between the pin layers alternately less as possible. The so-called "the least alternating between the layers of the leads is better" means that the fewer vias (Via) used in the component connection process, the better. A via can bring about a distributed capacitance of about 0.5pF, and reducing the number of vias can significantly increase speed and reduce the possibility of data errors. Third, the lead between the high-frequency circuit device pins is as short as possible. The radiant intensity of the signal is proportional to the length of the trace of the signal line. The longer the high-frequency signal lead, the easier it is to couple to the component close to it, so for clocks such as signals, crystals, DDR data, High-frequency signal lines such as LVDS lines, USB lines, and HDMI lines are required to be as short as possible. Fourth, the power supply pin of the integrated circuit block increases the high frequency untwisting capacitance. A high frequency untwisting capacitor is added to the power supply pin of each integrated circuit block. Increasing the high frequency decoupling capacitor of the power supply pin can effectively suppress the high frequency harmonics on the power supply pin to form interference. Fifth, avoid loops formed by traces. Do not form a loop as much as possible for all types of high-frequency signal traces. If it is unavoidable, make the loop area as small as possible. Baineng Network is a subsidiary of Qinji Group. It is a leading electronic industry service platform in China. It provides components, sensors procurement, PCB customization, BOM distribution, material selection and other electronic industry supply chain solutions. The overall needs of small and medium-sized customers in the industry. Grounding of high-frequency digital signals and analog signal grounding are isolated. When the analog ground wire, digital ground wire, etc. are connected to the common ground wire, the high-frequency turbulent magnetic beads are used to connect or directly isolate and select a suitable place for single-point interconnection. The ground potential of the ground of the high-frequency digital signal is generally inconsistent. There is often a certain voltage difference between the two directly. Moreover, the ground of the high-frequency digital signal often has a very rich harmonic component of the high-frequency signal. When the digital signal ground and the analog signal ground are directly connected, the harmonics of the high-frequency signal interfere with the analog signal by means of ground-line coupling. Therefore, in general, the ground of the high-frequency digital signal and the ground of the analog signal are to be isolated, and a single-point interconnection at a suitable position or a high-frequency turbulent magnetic bead interconnection may be employed. Pay attention to the"crosstalk" introduced by the parallel lines of the signal lines. High-frequency circuit wiring should pay attention to the "crosstalk" introduced by the parallel lines of the signal lines. Crosstalk refers to the coupling phenomenon between signal lines that are not directly connected. Since the high-frequency signal is transmitted along the transmission line in the form of electromagnetic waves, the signal line acts as an antenna, and the energy of the electromagnetic field is emitted around the transmission line, and an undesired noise signal generated by the mutual coupling of the electromagnetic fields between the signals is generated. Called Crosstalk. 7. Do not leave the unused input terminal, but ground it or connect it to the power supply (the power supply is also ground in the high-frequency signal loop). Because the suspended line may be equivalent to the transmitting antenna, grounding can suppress the emission. Practice has proved that using this method to eliminate crosstalk can sometimes be effective immediately.